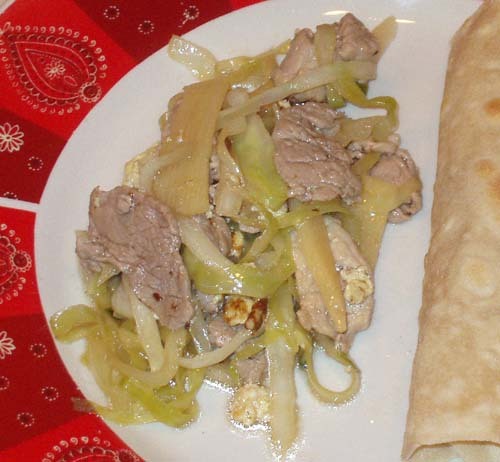 To serve: place about 2 tablespoons (30 ml) of hot Moo Shu in the center of a warm pancake, rolling it into a parcel with the bottom end turned up to prevent the contents from falling out. Eat with your fingers. 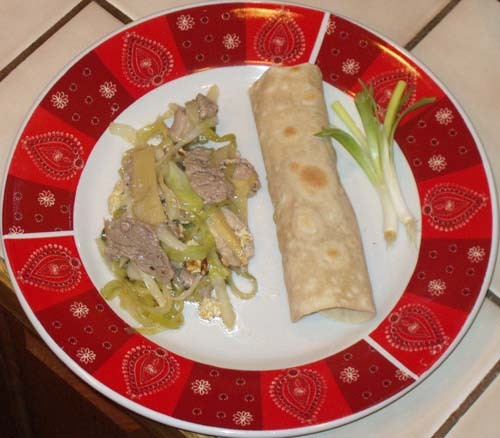 Shown here with a moo shu pancake and a scallion “paintbrush” for the hoisin sauce. I must confess to not being able to try it with mushrooms, but I did stick with all the other ingredients.